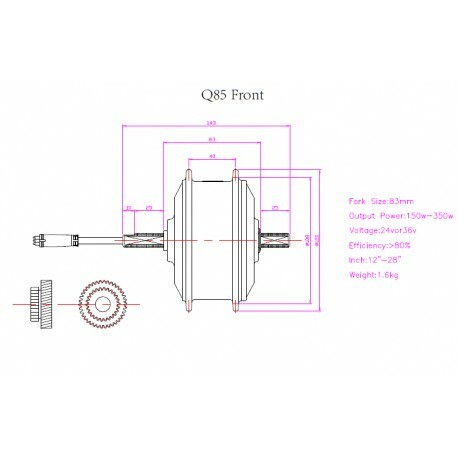 Q85 24V200W-250W Front Driving V-brake, rim-brake E-Bike Hub Motor. 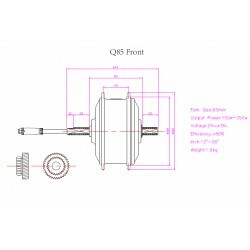 Waterproof Hall Sensor and Sensorless compatible plug. 2. 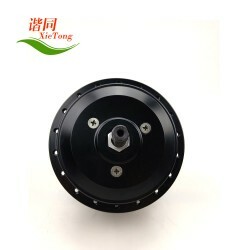 Brake type: V-brake, rim brake. 4. Connector: Waterproof Hall Sensor and Sensorless compatible plug. 5. 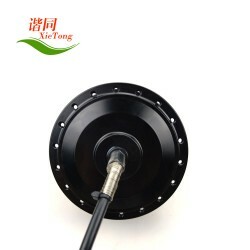 For Hall Sensor and Sensorless. 6. 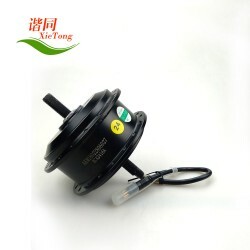 A speed sensor inside the motor.